My week kick started with Mental Health training and that involved learning about the different types of mental health disorders and the symptoms we should look out for. As part of the training we also learnt about how we could help someone who is going through any type of Mental health issues and what they can do. Some people may have been diagnosed but there are a lot of people who aren’t diagnosed and this training was a way of ensuring that we are able to pick up on signs and what the triggers are. So while the topic is still fresh in my mind, I thought I’d write a blog about Mental Health within our Tamil community. So I apologise is this is not fun and you were expecting something else. In my opinion I think it is an issue, and there are a lot of people suffering from a type of mental health disorder, but the problem is our community and the word “Mental”. We overlook the problem and just brush it under the carpet. We think if we don’t talk about it, then maybe one day it will disappear. I think we should talk about it and look at finding options to help someone going though something difficult. Don’t get me wrong, I am not saying Tamil people have mental health issues, I am saying “We ALSO have people suffering with Mental Health disorders”. Our society stigmatises people with mental health issues, therefore it may be difficult for people to openly discuss it or get the help they require. Mental health can vary with different people and there is no age limit. This morning, I read that a Tamil girl had committed suicide due to depression and the article stated that the young girl did seek help by speaking to friends and staff in school but it was too late for anything to be done. It does make me sad to hear things like that, and I think we shouldn’t be ashamed to say we are going through something, because it’s not permanent. With the right help, you can get better. There are different kinds of Mental health disorders and I learnt about a few different kinds but the ones that I would like to write about are, Depression, anxiety, post traumatic stress disorder (PTSD), and bipolar disorder. I have specifically chosen to talk about these types because I work with Tamil and non Tamil offenders who suffer from one or more of these conditions and maybe someone might relate to this or know someone who is going though something similar. I am not a medical expert, so this is just what I know and see at work. At the end of the blog, I will list organisations that specialise in theses fields and that can help professionally, so I am sorry for those medical experts reading this! I currently work with a service user (offender) who suffers from Anxiety. We all get anxious sometimes. It may affect our sleep, appetite and concentration but usually eases when the cause of the anxiety has passed. This particular offender’s anxiety persisted and his feelings became overwhelming and significantly affected his ability to cope. 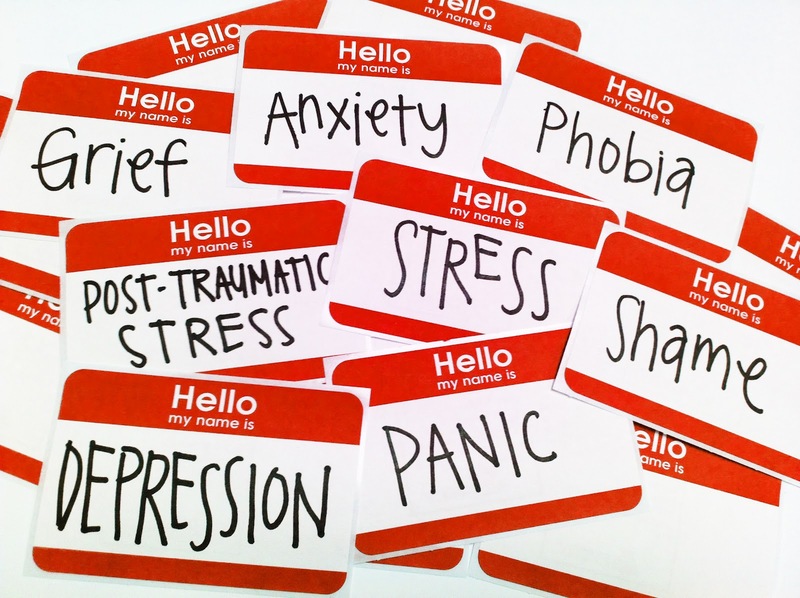 Someone suffering from anxiety can also have mental health problems such as depression. In this particular case the signs/ symptoms for him were physical sensations including increased heart rate, rapid breathing, excessive sweating, tense muscles, headaches, nausea and the need to go toilet more often. He was also having thoughts about passing out or even worse dying. There would also be times where he would have the urge to escape a situation in order to relive his physical sensations and reduce distressing thoughts. There were even times when he would have sever panic attacks, where he would have feelings of loss of control, trouble with breathing and he would be shaking and trembling. As a non medical practitioner, the effects I saw on him were, him. being agitated, restless and distressed. He would avoid situations in order to relieve uncomfortable feelings. He also found it difficult to concentrate on sessions and would often avoid coming into the office as he soon grew a phobia about going out and seeing people. if you know someone who is suffering with anxiety there are things that you can do for them. I allowed my client to talk and express how he felt. I realised that telling him to relax was not what he wanted to hear. Allow them to take deep breaths and give them reassurance. The second type of mental health issue that service users I work with deal with, and currently still deal with is depression. This is probably well known already and the most common one. Anyone can feel unhappy and low at times in response to life events, such as illness, stress, bereavement, relationships, breakups, and so on. for some people, depression may begin for no apparent reason and become a long term condition. I have clients who have depression and then it goes away but is severe enough to disturb a person’s day to day routine. when we are working with service users who suffer from diagnosed depression, the health professionals split them into three broad categories. Psychological- This is where a stressful or upsetting life event causes a persistent low mood, low self esteem and feelings of hopelessness about the future. Physical or chemical- Depression is caused by changes in levels of chemicals in the brain. e.g. your mood can change as hormone levels go up and down.nThis is often seen in women as it is associated with the menstrual cycle, pregnancy, miscarriage, childbirth and the menopause. Social- doing fewer activities or having fewer interests can cause depression or may happen because of depression. I once had a service user who was severely depressed and wanted to harm themselves or want to commit suicide. It was very important for me to keep an eye on him and ask him if he had any plans or thoughts of harming himself. The signs and symptoms I looked out for were, feeling hopeless and helpless and with thoughts of harming themselves or committing suicide, feeling very down and low in mood and becoming easily tearful. Another symptom can be blaming themselves, feeling unnecessarily guilty about things, they can appear to be very quiet and taking no interest in their surroundings and finally having disturbed sleep, and neglect of self care, for example, their appearance, eating, appetite changes (either much less or much more than usual;). My particular client went through effects such as being tired, and lacking in energy. His lack of motivation and finding it difficult to complete normal everyday tasks. He would often have difficulties concentrating and remembering things. He would also feel anxious and appeared to be agitated at times and restless. There were also times when he would be angry and irritable and isolates himself and avoids contact with others, even myself. They often find it difficult to express themselves too. The next type of mental health disorder that I have encountered is people that suffer with Post traumatic stress disorder (PTSD). This can happen after a traumatic event in someones life, in which somebody has been afraid that their life was under threat. Events can include natural disasters, experiences as part of someone’s job, e.g. fighting in the war, or even something traumatic in their everyday life such as a car accident, or being a victim of a violent assault. PTSD can also be developed as a persistent reaction to ongoing trauma, such as being a victim of domestic abuse. The Tamil client I was working with suffered from PTSD due to the war back home in Sri Lanka. His symptoms were, he was suffering from intrusive thoughts and images from the event which caused him to be irritable. He would mention that he was having flashbacks, and feeling as though the trauma is happening again. He could not sleep and on several nights, he would have nightmares. When we tried to explore this further, he would have intense distress in responding to any real or symbolic reminders of the trauma and it was soon apparent that he was also going through depression due to the trauma. In our one to one sessions, it was apparent that he was having difficulty expressing affection, and he would cut him self of from feelings and be emotionally numb., and he would find it difficult to concentrate and listen to what I was saying. We would have certain conversations which would trigger his feelings and he avoids talking about it as it reminds him of the trauma. As a result of this trauma, it affected his lifestyle by not allowing him to socialise with other people, and he found it difficult to stay in his job. And finally last not least Bipolar disorder, also known as manic depression. This is a serious but treatable medical illness. It is marked by extreme shifts in mood, energy, thinking and behaviour. There is a strong link between stress and this disorder, which can be triggered when someone finds themselves in surroundings that are stressful for them. A person may be unaware of the changes in his or her behaviour or moods and the effect they have on others. Although I do not have any clients who have bipolar disorder, I have come across people who suffer from it through work, and also the character Dhanush played in the movie “Moonu” has bipolar disorder, and it became so severe that he killed himself. You will notice that someone who has bipolar disorder will have the following signs and symptoms. Extreme mood swings and severe depression, unpredictable or unexpected behaviour, unusual beliefs not based in reality, difficulties with eating and sleeping and lastly they will have thoughts of self harm or suicidal feelings. You may possibly see the following effects on them, talking at a fast rate, appear overly confident, and self impotent. They can be overactive and excitable in their behaviour. With any of the above mental health disorders it is important to be sensitive and deal with the people suffering with delicacy. It is a sensitive topic and therefor it is important that we direct them in the right way. Ans remembering that you are not alone and there is help. The following link below directs you to a list of organisations that can help you in the best way.